The Baby Products Association (BPA) was established in 1945. It was set up with the objectives of promoting the baby and nursery products sector in both the UK and Europe. Today we play an active role in the development of product standards and provide an umbrella of support and specialist services to our membership. BPA members and member representatives sit on a large number of committees and working groups in CEN (Europe) and the BSI. Our Technical Committee is constructed of industry experts and specialists covering a wide range of baby and nursery products including wheeled goods, nursery furniture, baby walkers, soft goods, child restraints, toys and early learning. Where no standards exist we are pre-emptive in our approach and will develop and produce a BPA Code of Practice. We are the voice of the industry in the UK and it is our aim to provide our members with the comfort and assurance that we are there batting for them and the industry in general. 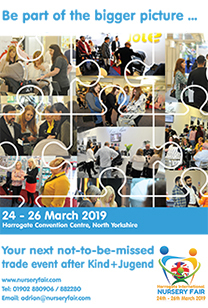 BPA members benefit from advantageous rates when exhibiting at Harrogate International Nursery Fair and from the opportunity to join the UK’s international pavilions at Kind und Jugend in Cologne, CBME in Shanghai and ABC Kids Expo in Las Vegas. 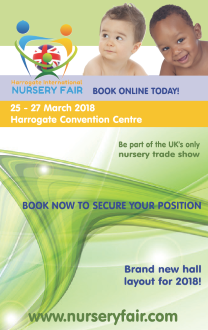 In addition, they benefit from members only rates on technical publications and standards and specialist business services tailored to the nursery industry. The BPA actively promotes new product development through the Concept and Innovation Awards. For the finalists of the awards over the past six years, they have proven to be a remarkable channel for promoting and even launching their new products. There are two prestigious industry awards this year: The BPA Concept Award, acknowledging unique designs still in their early visionary phase and the BPA Innovation Award, acknowledging unique products developed to a potential production stage.